We recently took a guided bus tour of the Kennedy Space Center and the various launch complexes. 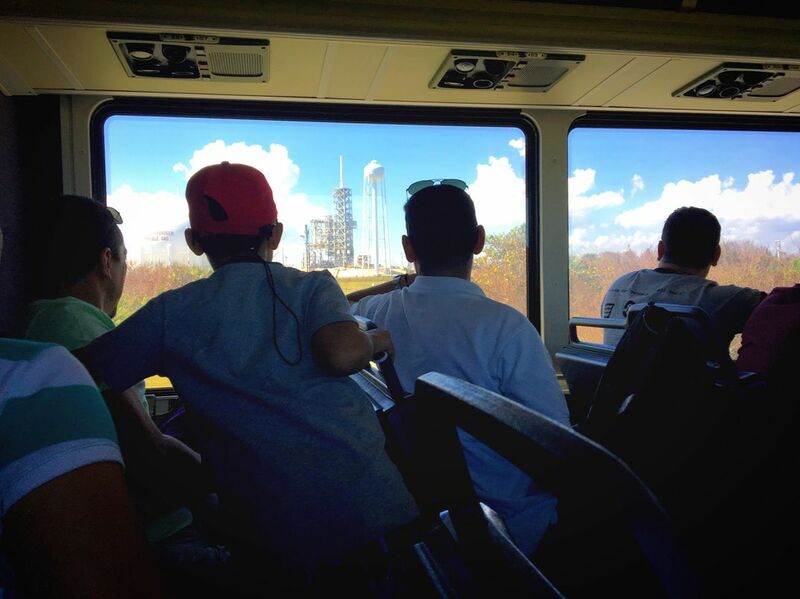 This photograph was taken on the bus as we stopped at Launch Complex 39A, it shows an exited group of visitors crowding around the window to get the best view. Date Uploaded: Oct. 8, 2017, 7:51 p.m.